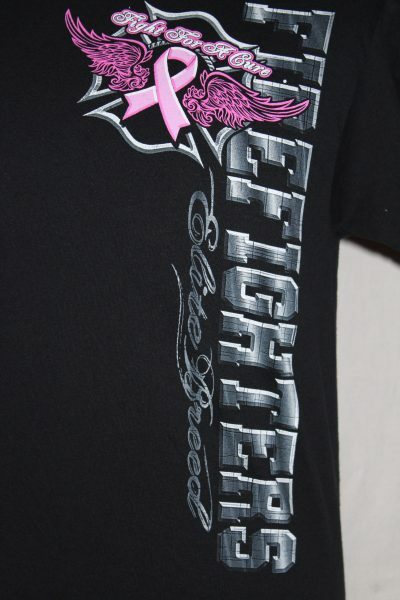 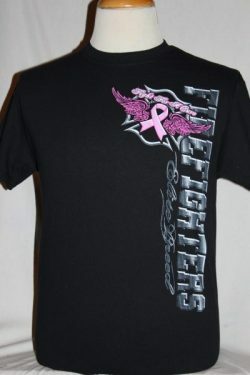 The Firefighters Elite Breed Breast Cancer Awareness T-Shirt is a two sided print in black. 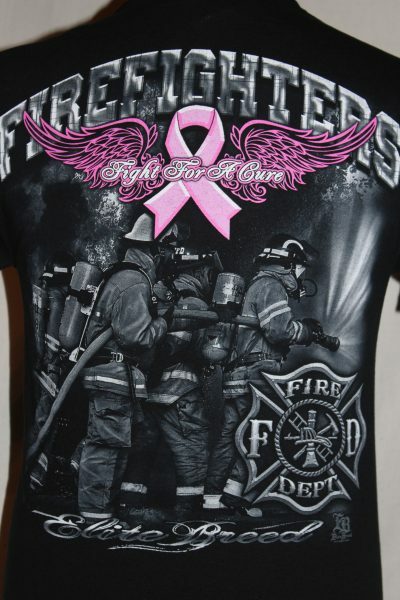 Front Design: Pink ribbon, pink wings, firefighter symbol, and vertical text. 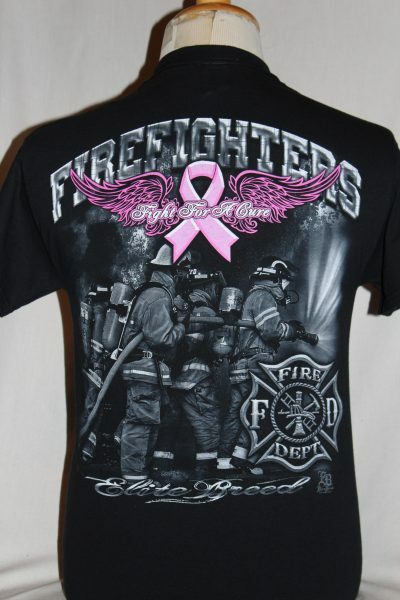 Back Design: Pink ribbon, pink wings, Firefighters symbol, Firefighters in action, and faded text.